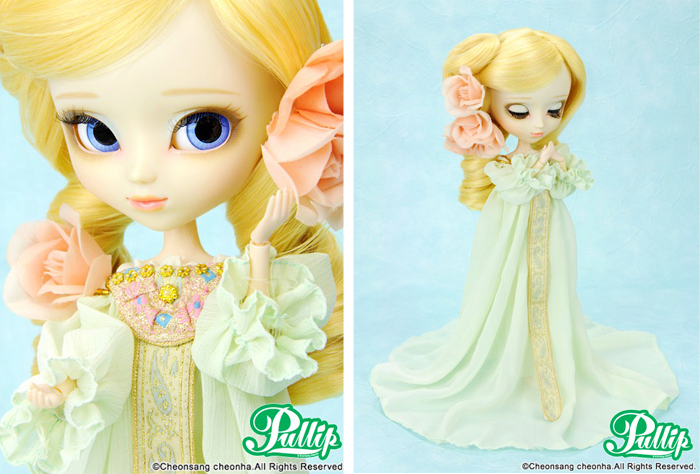 What is a Pullip Doll? Hi friends~! How are you? Today I’m going to talk about a topic that got my attention years ago: Pullip Dolls. But before we start learning more about these pretty dolls I have to say that this topic has a lot of information; so, today I’m going to focus on what a Pullip doll is. Namu (나무, tree), Pullip’s ex boyfriend. Taeyang (태양, sun), Pullip’s current boyfriend. Dal (달, moon), Taeyang's younger sister. Byul (별, star), Dal's best friend . Isul (이슬, dew), Pullip's younger brother. 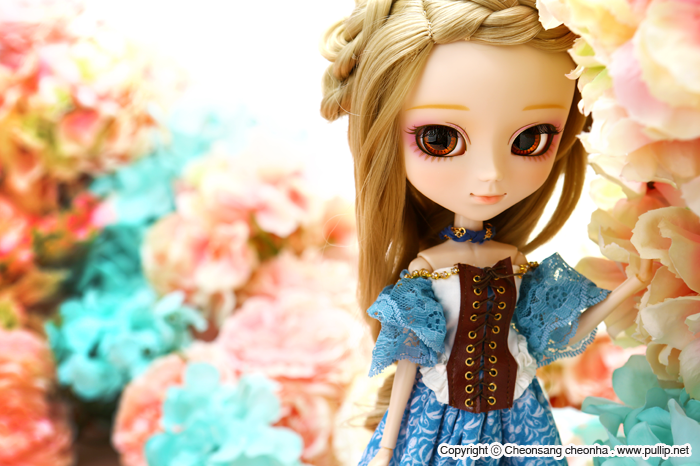 Yeolume (여루메, fruit), Pullip's future daughter. She’s the latest family member added in February 2013. Little Pullip is also a miniature line with 1:12 scale bodies and 1:6 scale heads. Another point we must mention about Pullip dolls is the eye mechanism that allows them to wink and move the eyes from side to side via levers located on the back of the head. And Pullip dolls released after January 2008 can also keep their eyes closed via these levers. Pullip dolls have an articulated body that allows them to pose very easily and can also be customized. A Pullip is 30cm (12in) tall; the body is about 22cm (9in) tall and is on the 1:6 scale, while her oversized head is about 8cm (3in) tall on the 1:3 scale. With a 1:6 scale body, Pullip body is approximately the size of many popular playscale fashion dolls, like Barbie. New editions of Pullips are released on a monthly basis and limited editions are also sold occasionally. Each doll has a unique name with distinct face makeup (called a "faceup"), hair, outfit, accessories, collector's card, doll stand, and box. Did you know about Pullips? Do you have one or would like to have a Pullip doll? Leave a comment below and I’ll see you pretty soon ♥.